Mudra is a health technique based on the ancient system of yoga and ayurveda. It uses fingers in our hands to activate different parts of our body. 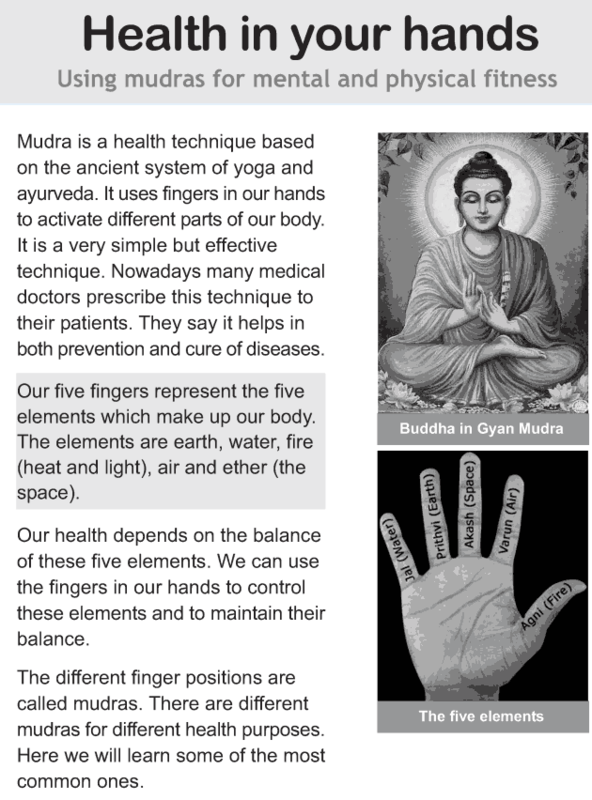 We’ll learn some of the important mudras in this lesson. 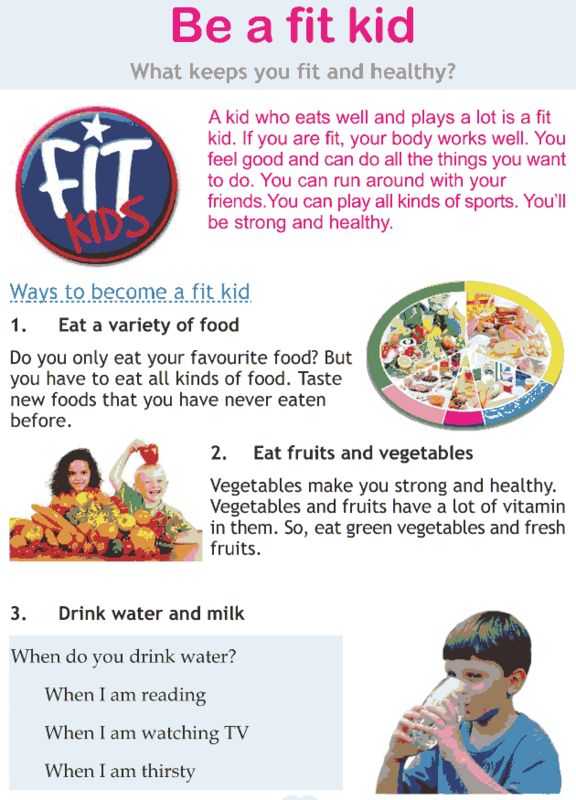 Are you a fit kid? If you are, how do you keep yourself fit? What are the advantages of being fit? This lesson teaches you the right ways in which you can keep yourself fit. It will help you in making yourself more active and make you happy.